The building science professionals at Clark Seif Clark (CSC) are experts at identifying health and safety concerns in all types of buildings. Depending on the type of water that has entered a building and how long it is present, it can play a significant role in how the water damage could impact a person’s health and even how the building needs to be remediated. While some parts of the country have had a relatively dry spring, other regions have experienced heavy rains that have resulted in flooding events and water damage to homes and buildings. 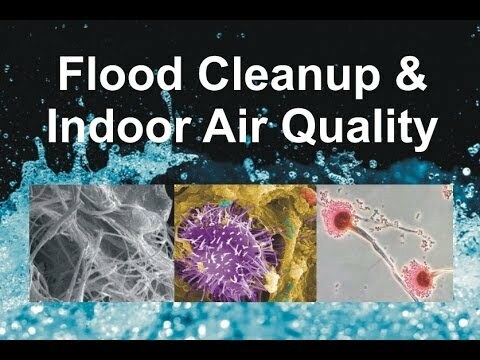 During flood cleanup, the future indoor air quality (IAQ) of a building may appear to be the least of one’s problems. However, failure to remove contaminated materials and to reduce moisture and humidity in a timely manner can present serious long-term health concerns for building occupants. Standing water and wet materials are a breeding ground for microorganisms, such as viruses, bacteria and mold. Many of these contaminants can become airborne and if inhaled could potentially cause disease and trigger allergic reactions long after the flood. If floodwater contains sewage or decaying animal carcasses, infectious disease is a significant concern. Even when flooding is due to just rainwater, the growth of microorganisms can cause allergic reactions, trigger asthma attacks in susceptible individuals and cause other conditions in some people. • Any microorganisms or chemicals brought into a building with flood waters may present an immediate health concern. • High humidity and moist materials provide ideal environments for the growth of microorganisms that were already present in the home prior to the flood. • Long-term increases in humidity in a building can foster the growth of dust mites which are a major cause of allergic reactions and act as an asthma trigger for some people.